Most newbie value investors, when it comes to analysing companies, typically use a method of analysis which is based on an ideal scenario. But as you know, in real life, “ideal” doesn’t happen very often at all and most companies simply don’t fit an ideal scenario for analysis. That’s why I believe to become a better, savvier investor, you need to adapt your methods of analysis for different types of companies. 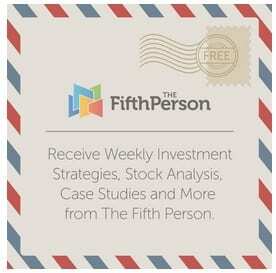 Here at The Fifth Person, we’ve split value investing into three categories – predictable, special situations and asset plays. Each category requires a different type of analysis. Business – Look for a simple business that is within the investor’s circle of competence. If you can’t understand how a business works or generates its income, you should avoid it. Understanding how a business is going to grow and the challenges it’s going to face is crucial to your investment decisions down the line. Next, it should be a business with a sustainable competitive advantage and a scalable business model. A business with no real sustainable advantage over its competitors could disappear in time to come if it can no longer compete. And its business model should be able to scale massively or your growth prospects are restricted. Management – Find a management team who is aligned with shareholders’ interests and has shown good capital allocation behavior. Having a CEO and management team who is closely aligned with shareholders is a huge thing. You can rest easy knowing that they will make the right decisions for the good of the company, its growth and its stakeholders. A management with good capital allocation behavior will also know how to invest and grow the company’s assets for long-term growth. Financials – Look for a business that generates consistent revenue and profits. It should possess a strong balance sheet with high cash and low debt. It must generate positive cash flow with a high, consistent return on equity (ROE). At the very minimum, this business should doing well financially and have low debt levels to reduce external risk from creditors. A high ROE also shows that the management is competent at growing shareholder’s money. Valuation – For this type of great business we usually purchase them at fair value or slightly undervalued. You’ll usually be hard-pressed to find a company like this that is extremely undervalued. Most times, the market is very efficient at recognizing its value and even in the event of a stock market crash, the stock prices of great businesses may hardly fall at all; maybe just a slight dip down and then it recovers onto its upward trajectory. A business that fulfils all four quadrants is a great business because its success and growth prospects are, by and large, very predictable (hence the name). But there are not too many of them around. If they come by and you can get them at a good price, grab them! The management team may or may not be top-notch themselves and sometimes they may not be completely shareholder-aligned. But a fair business might still be a great investment opportunity if the financials are still fundamentally strong and the stock is undervalued enough. For a fair business, you need to focus on the financials and valuation quadrants. You still want the fair business to generate consistent revenue, profits & cash flow, possess a strong balance sheet with low debt and high, consistent ROE – this is the minimum you should expect. The more crucial part is in the valuation. Because its business model isn’t too strong and its long-term grow prospects are limited, you only want to purchase its stock when you have at least a 60% margin of safety from its intrinsic value. If you can get it cheap enough, the bargain itself makes sense and you potentially stand to make quite a tidy sum when the stock rises in value again. Alright! That covers my segment on predictable value investing using the four basic quadrants to analyse a company. In my next segment, I’ll cover special situation investing, the different situations you can capitalize on to make bonus investment returns and the different approach you need to take when analysing them. Great article, Victor? May I know how you assess the intrinsic value of a stock? There are many methods illustrated and I prefer using net present value (NPV) to calculate. What is your opinion?? Thanks. The way you value a company’s intrinsic value depends on the nature of its business. The most commonly used valuation method is the discounted cash flow model or discounted earnings model but these models can only be used for predictable business which have some form of recurring revenues. For companies that are mainly asset-based, PB ratio is a good way to value them. While companies that are in fund management, you can value them based on 5%-9% of their assets under management.